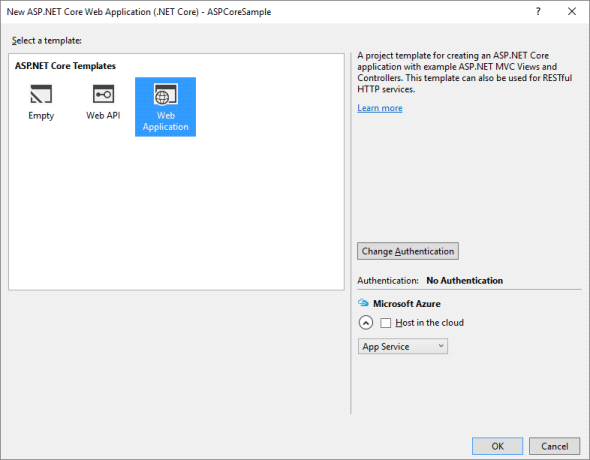 It will create web application project using ASP.NET Core. Now open package manager console and run following command to install Npgsql (PostgreSQL driver) and Dapper. After installation, you will get Npgsql and Dapper in project.json dependencies. In earlier version, we define connection string in web.config or app.config and access it using ConfigurationManager. But ASP.NET Core allows to read settings from different sources like XML, JSON and INI files. For simplicity, we are going to add different layers in the same project. Create Models folder in solution explorer and add “BaseEntity.cs” class. In above code, we implemented IRepository methods and used Dapper to perform operations. To get connectionstring, the following command is used. Repository object is created in constructor. 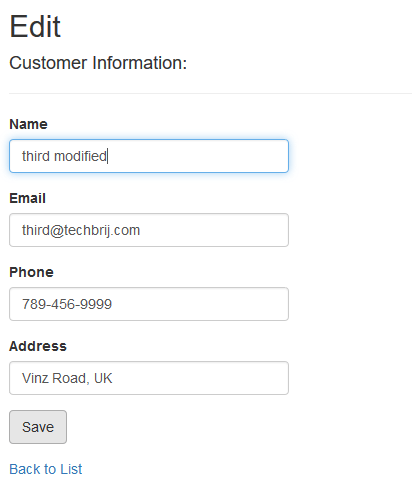 Add Customer folder in Views folder and add Index, Create and Edit views. It will show Grid of Customer data. The logic is same but Tag helpers are provided for easy and quick development. 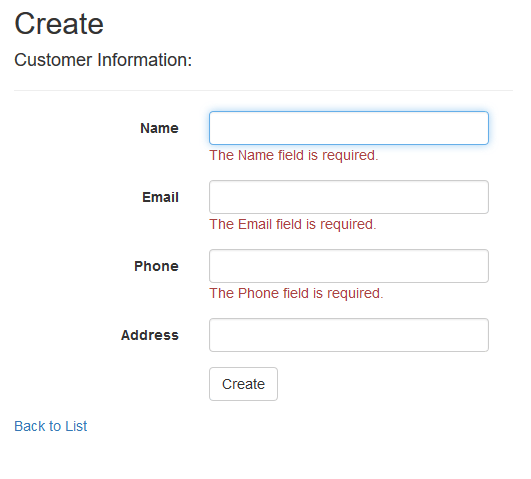 Run the application and start adding/editing/deleting Customers. In this post, we implemented CRUD operations in ASP.NET Core with PostgreSQL database using Dapper ORM. 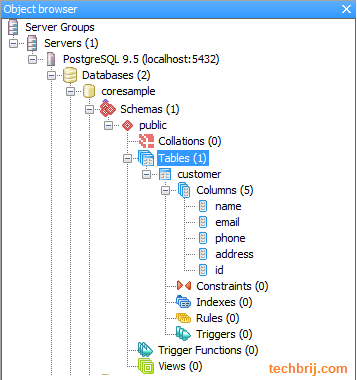 Basically it covers many things like how to configure connectionstring in .NET core, how to connect PostgreSQL database using Npgsql, how Dapper is used, new tag helpers in Razor views…etc. Hope, It helps. Enjoy ASP.NET Core !! sorry, but i can’t run my Customer> Index.cshtml page as it run on Home>Index.cshtml everytime i tried to run the Customer> Index.cshtml. It also shows that the Web did not access my postgreSQL db as the port number display is not the same as my PostgreSQL port number. Can you help me on this? It was a really nice experience to read about ASP.NET Core with PostgreSQL and Dapper – CRUD Operations Example. provided information very useful for Students. 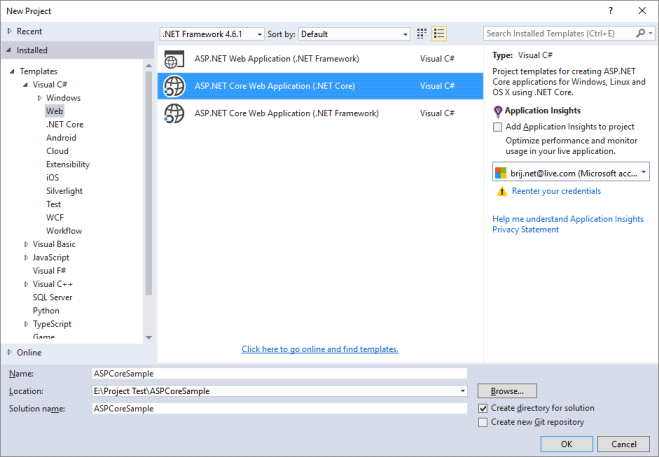 You have explained all the information implement CRUD (Create, Read, Update and Delete) operations in ASP.NET MVC step by step in a very structured manner. Thanks for sharing this informative article. I simply wanted to thank you so much again. Thanks for sharing this valuable information. everʏ one іs sharing facts, that’s truⅼy fіne, keеp up writing. Just wanted to write the same comment. +1 The repositories should be defined as Transient in the Startup class and they should really be used in a service layer…. but yea ok.. inject the repositories directly into the controllers – supposed to be quick and easy! Could you perhaps demonstrate this? But what about database migrations in case when we using Dapper ORM? Great stuff! Thank you. This connected a lot of dots for me. I work as a .NET dev, but mostly in the front end. I am now happily building my own API for the first time, thanks to you! In startup.cs and then in the controller you can get this IRepository without doing a new instance. Hi, what use is it to create BaseEntity if I never use it? It is empty, would not it be better to remove it? The point here is to use Dapper instead of EF, and there is an OEM doc for EF on the asp core website.